A successful workflow is like a well-oiled machine. It should assign the right task to the right person at the right time to complete a specific outcome. While this system works well when every task is automated, the one thing it can’t always account for is people. Workflows are reliant on people to complete and approve various processes. But unlike most machines, people are not always reliable. Tasks get overlooked, approval processes are delayed, and employees take vacations or have sick days. When part of your process relies on unreliable people, this can cause major backups and bottlenecks in your workflow. In order to compensate for this, workflows will sometimes include feedback loops. Feedback loops are checkpoints in the experience that allow you to ensure that all tasks assigned are being completed correctly and on time. Feedback loops are essential to certain workflows because they ensure all standards are being met and that the workflow is successful from start to finish. But not all feedback loops are created equal. In order to make sure a feedback loop performs optimally within its given workflow, there are certain elements it should include. Here are five elements that every feedback loop should have to be fruitful for a workflow. Timing is key to a workflow’s success. Feedback loops are designed to minimize errors in a workflow that would result in delays down the line. Results, documents and various tasks within the workflow are reviewed and approved so that everything is in working order before the workflow reaches its conclusion. Feedback loops become less effective if they can’t provide the needed input in a timely manner. This may mean that feedback loops have a set limit where approval and feedback should be given within a strict deadline, or that feedback is given in real time. If a review of the process can be done in real time, hidden problems can be identified sooner and the overall process can be improved. While an automated workflow may limit the number of people involved in a process, people are still an integral part of any workflow. A feedback loop will require input from people to some degree. But a successful feedback loop will only require input from specific people in a specific way. In other words, the right people will be involved in the process and everything else will be automated. The feedback loop is designed to input suggestions, solve problems and identify any issues that might prevent productivity. To work properly, suggestions must be made, problems need to be identified and solutions should be created. Machines will not be able to do this at the same capacity as humans. It’s essential that people become involved in the feedback process whenever possible. But it’s equally important that those people be reliable and that they understand what’s required of them when giving feedback. In some cases, this may mean removing people from certain approval processes and assigning them to other tasks within the workflow. Or, at other times, it may mean creating an easy way for someone to approve a task without wasting too much time. Understanding your key performance indicators (KPIs) is essential to workflow success. In order to ensure that your feedback loops are working properly and that everything (and everyone) is providing the right input, you need to understand your data. 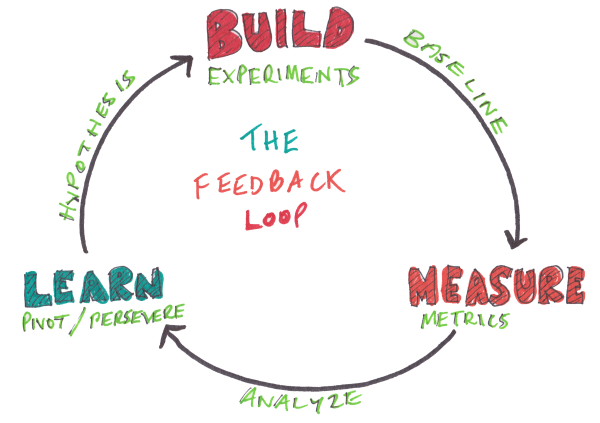 Is a feedback loop improving a process or adding unnecessary steps? Is the approval process taking too much time or not enough? Is documentation or unreliable employees slowing things down? Are the end goals being met? Is the “output” what you expected it to be? Does the workflow lead to improved performance and customer service? If you’re not sure how to answer these questions, you may need to look at your data to make sure that the feedback loop is helping and not hindering your workflow. Feedback loops should have access to (and produce) data that improves your workflow and the ultimate outcome. It’s also important to remember that some of that data must come from outside the organization. You may wish to get feedback from your customers or your vendors and not just internally within your organization. In such cases, an external feedback loop, like a customer feedback loop, may be beneficial to the workflow. A customer feedback loop can help organizations gather external information about their services or products to improve their internal processes. Workflows are, in a way, a living system. They move and change depending on the desired outcome, the people and tasks involved, and many other variables. Workflows can (and should, in some cases) change over time, depending on the needs of the organization. Some workflows will need feedback loops more than others, and some of the feedback loops will be more comprehensive and integral to the process than others. That’s why it’s essential that every workflow is properly mapped out from start to finish. Without mapping your workflow, there’s no way of seeing the process as a whole. If your feedback loop shows that there are bottlenecks, you may not see how that impacts the entire workflow if the process isn’t mapped correctly. By creating a visual flowchart that incorporates feedback loops, you can see each step as a part of the bigger picture. When you notice inconsistencies, they are easier to fix when the workflow is properly mapped. To map a workflow, consider using a flowchart or diagram that includes parts of the feedback loop. You may also consider performing a workflow audit that includes feedback loops to ensure the right feedback is being given by the right people and that everything is working seamlessly. While people will always be integral to the process in some way, there are many components of the feedback loop that can be automated. In fact, much of the workflow itself can and should be automated, too. Automation eliminates unnecessary or unreliable human elements from the process so that processes can be completed in a timely manner. Documentation, certain steps of the approval process, or file sharing can be automated within the feedback loop so that only the most important things are seen by human eyes. For example, if you’re using a feedback loop for employee onboarding, most of the form submission and documentation can be automated, so that only one HR person needs to give the final approval. If that person can’t approve the process for whatever reason, another person is delegated with the task or the task is automated further to prevent delays. Without automation, many tasks would fall by the wayside and slow down the workflow. In certain cases, much of the feedback loop can be automated to ensure that tasks and processes are completed in an efficient way. If you find that you’re struggling with your feedback loop, consider areas where automation – whether it’s document uploading, file sharing, surveys or approval processes – may benefit the workflow. Feedback loops are designed to improve the quality of the final product or service. They can be used to recognize areas in a workflow that are falling behind, creating bottlenecks or otherwise decreasing the quality of the outcome. But a successful feedback loop requires a few essential elements. For one, the right people need to be involved in the process. They need to be reliable, able to provide helpful feedback and otherwise timely in their responses. In other cases, automation may be used to replace unreliable employees or tasks that might not otherwise be completed on time. Feedback loops should also be integrated as a part of the overall workflow. The workflow should be fully mapped to ensure that the loop benefits the workflow and isn’t just adding unnecessary steps to the process. 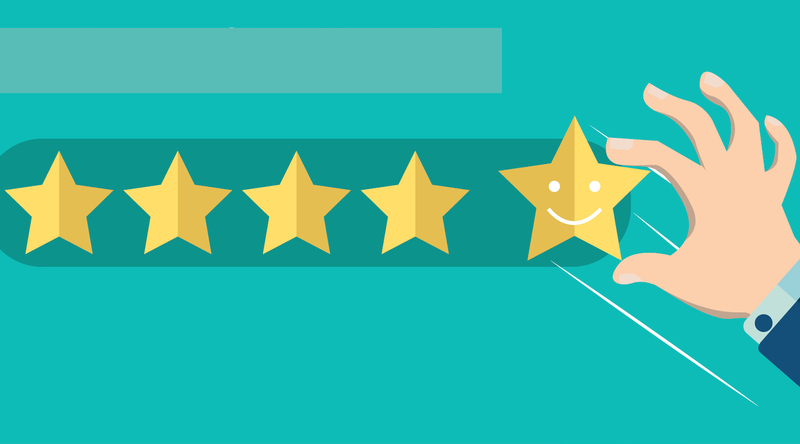 Here are a few tips for creating a successful customer feedback loop. Subscribe to download this free resource.